When you deposit a check, you probably just expect the money to show up in your bank account – and you expect to be able to use that money when you need it. In most cases, that’s exactly how it works and there are no problems. Unfortunately, sometimes there is a problem: your bank puts a hold on the money, and you’re unable to withdraw cash or spend when you need to. Your bank’s funds availability policy, along with federal regulations, spells out exactly how long everything is supposed to take. A funds availability policy explains how long you need to wait to spend or withdraw funds after you make a deposit. Banks are required to provide this information so that you are not caught by surprise, although most people never know about these policies until they’re stuck waiting for funds to clear. The details about your bank’s policy should be part of your account agreement or included in other disclosures provided by your bank. When you deposit funds into your account, the bank often puts a hold on those deposits, meaning you need to wait for at least one business day before you can use the money. Especially with checks and money orders, banks cannot be sure that a payment is legitimate, plus the money doesn’t actually arrive at your bank for several business days (or more) after you make your deposit. 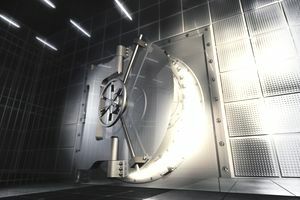 The hold is intended to protect the bank from losing money. These holds also protect you to some extent, but you are ultimately responsible for any deposit you make to your account. If your bank allows you to cash a check that later bounces (which can happen several weeks after you make the deposit), you’ll have to pay fees and you’ll have to repay the bank for the money they gave you – even though none of it was your fault. That’s why it pays to verify funds on suspect checks, and avoid taking payments from anybody you don’t trust. Federal regulations limit how banks can set up their funds availability policies. Banks are allowed to be less strict if they want–they can make funds available immediately, and they often do so–but they cannot hold funds forever. If there is a hold on your deposit, the bank should provide you with the release date on a receipt. In some cases, they add a hold later (and mail you a notice), so it’s a good idea to check your account balance before spending if you’re running low on funds. Also, when making a deposit, it's critical to ask your bank when your funds will be available if you want to use the money anytime soon. If the total amount of deposits by check in one day is more than $5,000, or if a check is endorsed by anybody other than the payee to whom it was issued, banks can add a hold. Electronic deposits like wire transfers and direct deposit are also generally available within one day. Business days include weekdays that are not holidays. The Expedited Funds Availability Act (Regulation CC), which sets rules on how quickly banks need to release your funds, allows longer hold times under certain circumstances. These are often called exceptions. When an exception applies, the bank may hold funds for a “reasonable” amount of time, which is not specifically defined. But five business days or so is about as long as you should have to wait (although longer holds are certainly possible). More than $5,000: If you deposit more than $5,000 in checks, the bank must make the first $200 available within one business day, but a hold can be placed on the remaining amount. If the checks are government checks, cashier's checks, and other low-risk items, the bank should make the first $5,000 available on the next business day, as long as the deposit meets certain criteria. Redeposited checks: If a check is redeposited (because it bounced when it was first deposited), the bank can add a longer hold. You should also be concerned about those checks. Repeatedly overdrawn account: Overdrawing your account (or spending more money than you have available in the account) doesn’t just cause hefty bank fees–it can also lead to holds on your deposits, which makes it even more likely that you’ll go into the negative. Reasonable doubt: If the bank suspects that the check will not be honored, they can add extra hold time. Common reasons include postdated checks and checks that are more than 60 days old. New accounts: Brand new accounts are especially risky for banks. If your account is less than 30 days old, expect to have checks held for up to nine days. However, electronic payments and official checks should have at least partial next-day availability. These regulations also apply to federally insured credit unions. Remember that business days are standard weekdays. Weekends and federal holidays that fall on weekdays will slow down clearing times. It’s always important to define your terms. When you deposit a check, you probably think you did it “today.” However, banks set cut-off times that might be as early as mid-afternoon where you live. For Bank of America, it’s 2 p.m.. At Chase Bank, it’s when your branch closes. When making an important deposit, ask the teller what to expect in terms of any holds (again, your receipt should tell you as well). If it’s late in the day, you might be better off depositing at an ATM or through your bank’s mobile app (by snapping a photo of the check)–those methods often have later cut off times. However, that strategy can backfire: because you’re not making a deposit in-person to a bank employee, other complications can arise – especially at ATMs that don’t get an image of your check. Those strategies are best when you don’t need all of the money and your account is in good standing. Ask customer service what’s best in your situation.